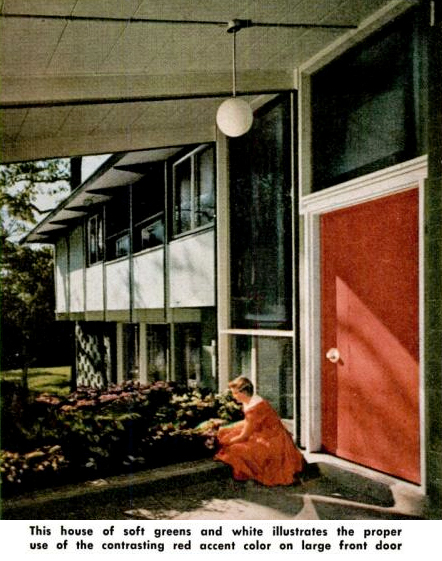 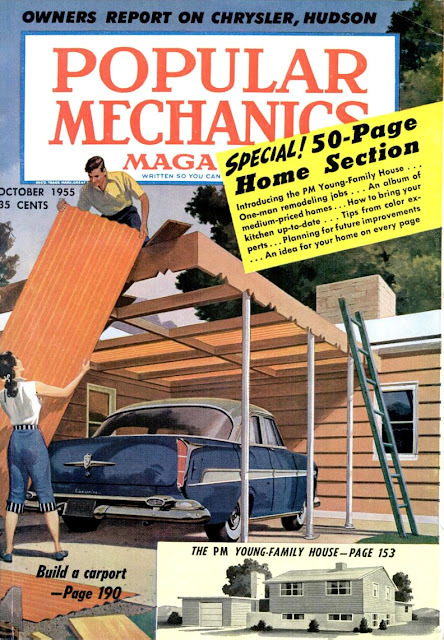 The below images appeared in Popular Mechanics October 1955 home issue. 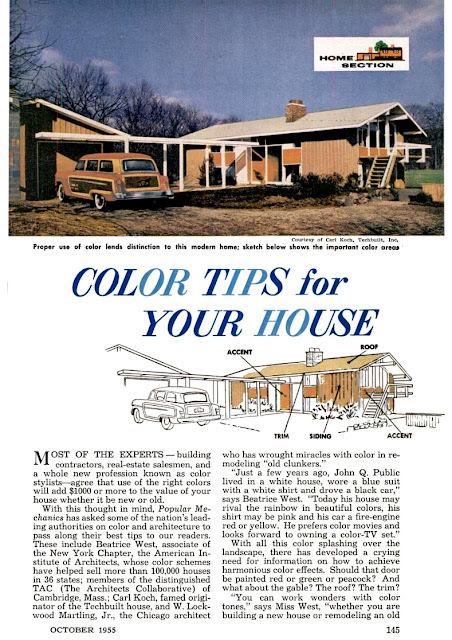 As the article states, you too can "wrought miracles with color in remodeling" your "old clunker". 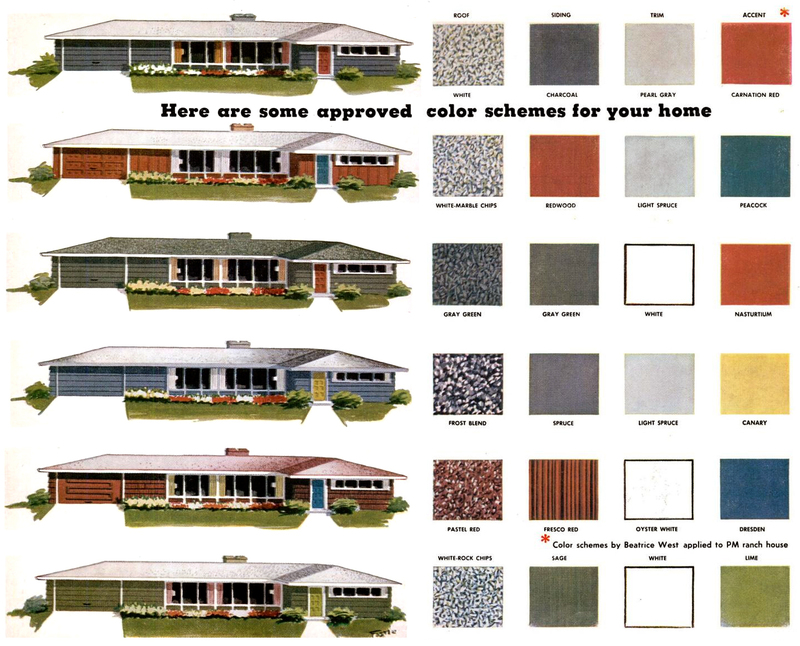 Click images for a closer look. 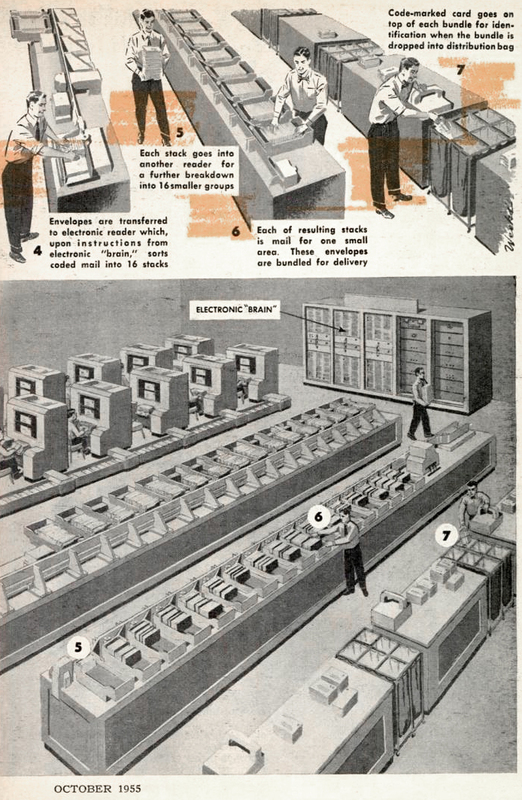 The below image from the magazine has nothing to do with coloring your home, but... check out the size of that "electronic brain" and look at how big the worker's PCs are on the right!! What's crazy is an tiny iPod could probably store more memory than that huge computer "brain". To check out the entire magazine click here.